On this Solemnity of Pentecost we conclude the fifty days of Eastertide and commemorate the pouring forth of the Holy Spirit who sent the Apostles on mission to proclaim the Gospel. On this Solemnity let us unite our hearts in prayer. V. Emitte Spiritum tuum, et creabuntur. 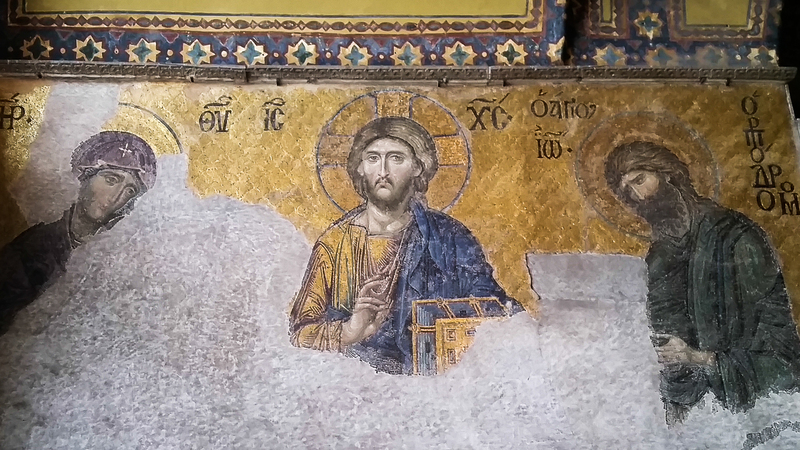 Mosaic from Hagia Sophia, Istanbul. This entry was posted in Christianity, Easter, Feasts, Pentecost and tagged Christian, Holy Spirit, Pentecost, Veni Sancte Spiritus on May 15, 2016 by frjfkauffmann.